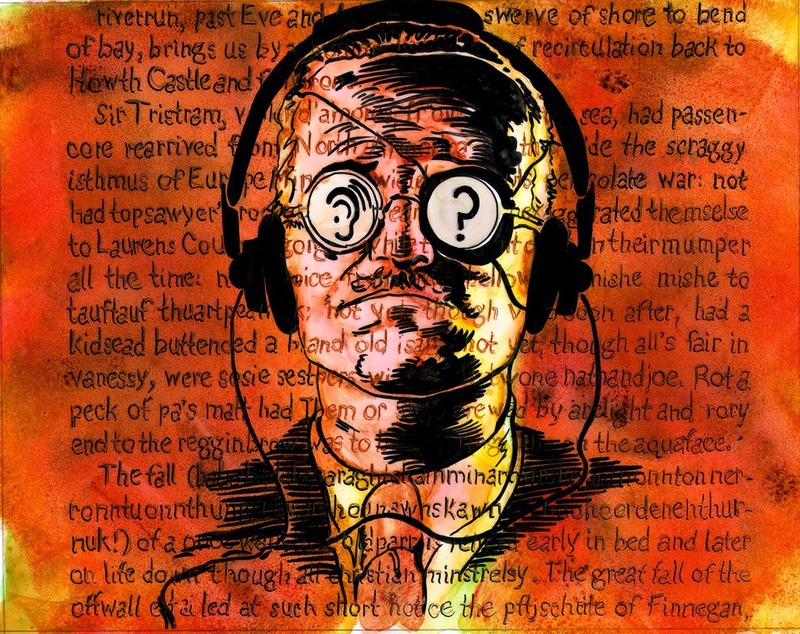 This past May 4th marked both the 76th anniversary of Finnegans Wake being published and the world premiere of the "Waywords and Meansigns" audio project bringing Finnegans Wake to life in an unabridged musical audiobook. The full audio project is over 30 hours long, encompassing all of the book's 17 chapters with a different musician/artist handling each one. Each artist was given full freedom to creatively interpret the text in their respective renditions so there's a pretty wide array of styles and interpretations. I had the honor of contributing to the project, recording a 3-hour rendition of the 15th chapter (Book III, Chapter 3) known as "Yawn Under Inquest". Immense thanks are owed to Evan James, Jake Reading, and Melba Martinez for their contributions to the recording which took many hundreds of hours over a span of three months to complete. The experience was unlike anything I've ever partaken in and I'm very proud of the result. You can read more about my experience with creating this recording here. The entire project is completely free and available to listen to or download in full on the Waywords and Meansigns website. Since the Wake is a circular book you can jump in at any point but, of course, I recommend you start with my chapter which is Track 15. The new project has already received the attention of The Guardian and the excellent RAWillumination blog (focusing primarily on the work of noted Finnegans Wake devotee Robert Anton Wilson) has just published an interview with myself and Steve "Fly" Pratt on our experiences with contributing to the project. Please be sure to go check it all out and send some feedback! Most excellent. I am awake and listening.